Outstanding in the Field in BKLYN! One of my favorite events has finally made it’s way to Brooklyn! 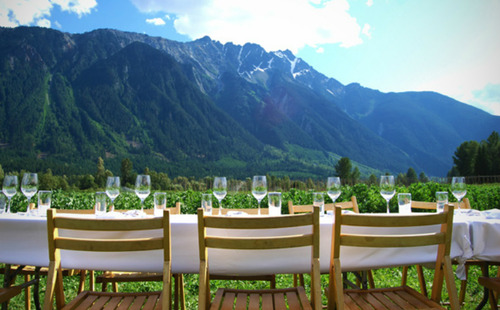 Outstanding in the Field is a 1 night communal table event of eating local, cooked by local chefs and it always encompasses an amazing view at sunset. The event will be held at the new Brooklyn Grange rooftop garden at the Navy Yards on Sept. 13. Tickets aren’t even on sale yet but I’m telling you about it now because it will sell out. Sign up for their newsletter and they’ll let you know when tickets go on sale. Its going to be an awesome event!